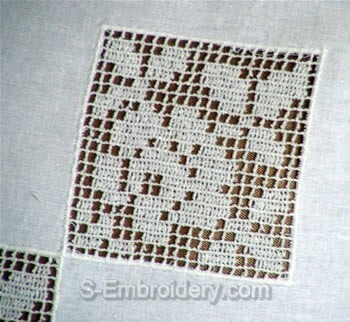 This crochet freestanding lace machine embroidery is designed to be used in combination with fabric. 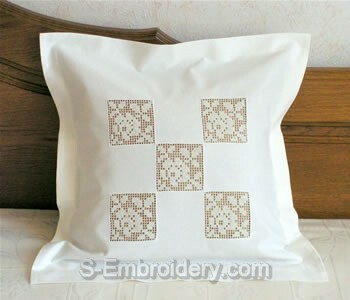 It will make a nice decoration of a pillow case, table cloth, curtains. A sample of our crochet freestanding lace embroidery designs is available on our Free embroidery designs page. The crochet square will fit in 4x4 hoops.